Perfect on chicken, fish, shrimp, gator, oysters, steaks and burgers. A Delicious Blackened Flavoring to your food. 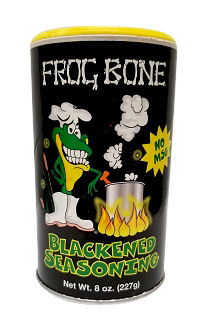 Frog Bone Blackened Seasoning is a special blend that creates a amazing blackened taste. 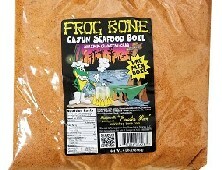 This product is delicious on chicken, fish, shrimp, gator, oysters, steaks and burgers. This Blackened Seasoning also has NO MSG & it's GLUTEN FREE!